Is Ben Affleck Dating a 'Young Blonde,' and Is Their Relationship Already In Trouble? Most tabloids have spent the past few months writing stories about Ben Affleck and Jennifer Garner getting back together, and I’ve found myself annoyed by each of their stories. Ben and Jen, Back In Love! Ben and Jen, In England to Renew Their Vows? Ben and Jen Prove Love Wins By Settling For Each Other! Bad tabloids! Bad, bad tabloids! 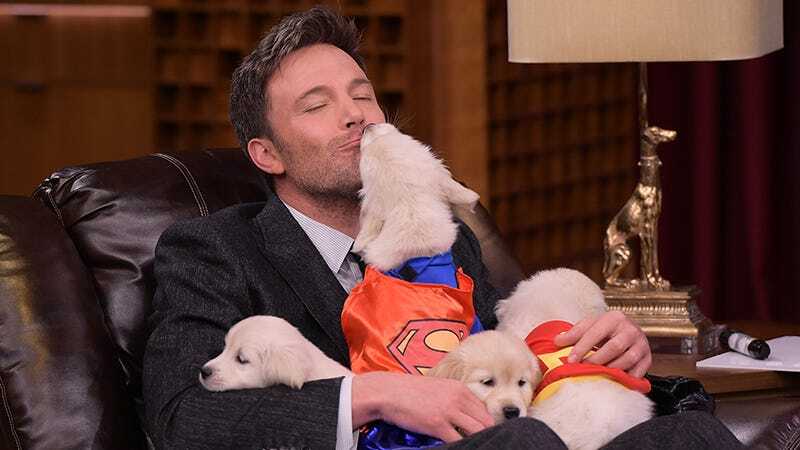 Here’s a headline I’d like to read: Ben Affleck Seen With Mysterious Young Blonde, Is it Christine Ouzounian? I hate this video of Blake Shelton eating sushi for the first time so much. It, it, the flames. Flames. Flames! On the side of my face!